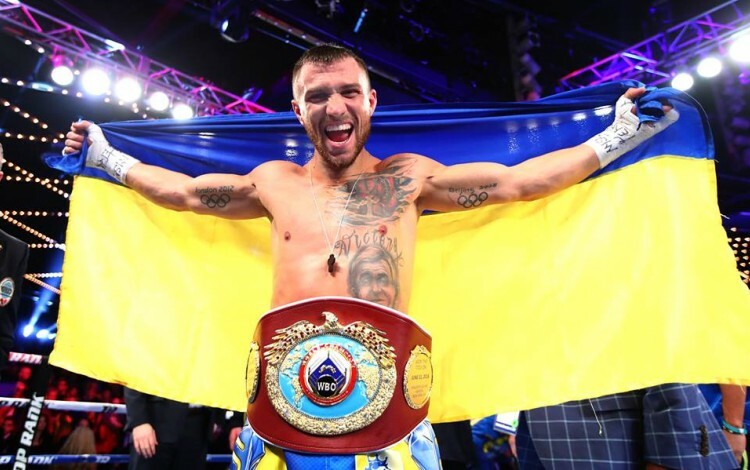 The man they call High-Tech Lomachenko ended 2017 as the toast of the boxing world and ESPN’s pound-for-pound number one fighter on the planet. The Ukrainian pugilist won three one-sided world title defenses over the past year as his reputation soared to new heights. On each occasion, Lomachenko’s demoralized and dizzied opponents surrendered on their stools rather than suffer further punishment. All were top contenders, but the diminutive Ukrainian made them look like amateurs. Lomachenko is so good that serious boxing observers are now saying he may be the best ever. Legendary promoter Bob Arum claims Lomachenko is the greatest since Muhammed Ali – and Arum knows what he is talking about, having worked with Ali in the 1960s. Much like all the true greats, the Ukrainian makes it all look so simple, with graceful movement and immaculate timing allowing him to outmaneuver his opponents and open them up at will. Lomachenko is a legend in the making and 2017 was his best year yet. Ukraine’s world chess champion Anna made headlines in late 2017 by refusing to defend her titles in Saudi Arabia due her concerns over women’s rights in the desert kingdom. She made the decision to stay away from the rapid and blitz chess championships in Riyadh knowing it would probably mean the loss of her world titles and substantial career earnings, but she probably did not anticipate the global reaction her decision would cause. The 27-year-old Ukrainian’s Facebook post explaining her decision went viral, earning over one hundred thousand likes within a week, making it among the most popular Facebook statuses ever posted by a Ukrainian user. Muzychuk explained that she did not want to “feel myself a secondary creature.” Her principled stance demonstrated enormous courage and attracted support from around the globe. Summer 2017 saw the end of an era in heavyweight boxing with the retirement of Wladimir Klitschko. Together with his brother Vitaliy, Wladimir had dominated the heavyweight division for over a decade. He announced his retirement following a dramatic defeat to Anthony Joshua at Wembley Stadium in what many described as one of the most memorable heavyweight title fights in decades. Klitschko had relinquished his championship belts on year earlier in an anticlimactic contest to the clownish Tyson Fury that left fans frustrated. However, his final fight in London was a true epic that won him the respect of the British public and drew admiration from boxing fans around the world. Klitschko left the sport with applause ringing in his ears and one of the most remarkable records in heavyweight boxing history. Wladimir is the second-longest serving heavyweight champion of all time with eighteen consecutive defenses over a nine-year span. He has been a wonderful ambassador for Ukraine throughout his career and looks set to remain one of the most famous Ukrainians internationally for many years to come. Very few clubs these days can mount a serious challenge to the European Champions League dominance of the top sides from the English, Spanish, Italian and German leagues, but Ukraine’s Shakhtar Donetsk did just that in 2017. The Donbas side finished second in their Champions League group thanks to splendid home wins over Italian side Napoli and all-conquering English league leaders Manchester City, providing one of the surprises of the competition so far. The fact that Shakhtar achieved all this while in the fourth season of exile from their home in Donetsk makes the Ukrainian club’s achievement all the more remarkable. Shakhtar have been living a nomadic existence since 2014 due to the ongoing conflict in eastern Ukraine. 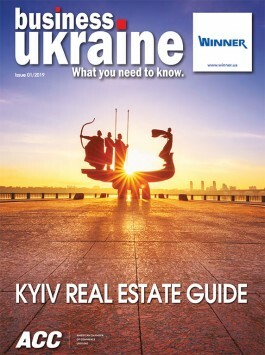 After a couple of seasons based on Lviv, the club has since moved to Kharkiv, where closer proximity to Donetsk and the city’s large IDP population help to generate strong support. Shakhtar will now face Roma when the knockout stage of the Champions League gets underway in February 2018. With the Champions League Final scheduled to take place in Kyiv in May 2018, could Shakhtar go all the way? They have already demonstrated their ability to beat the very best sides in the competition. One thing is clear – none of Europe’s top clubs would relish the prospect of facing Shakhtar in Kharkiv. The Invictus Games is a relatively new phenomenon established in 2014 to provide a sporting platform for service personnel wounded in the line of duty. Thanks to the patronage of British royal Prince Harry, the concept has caught on and gained considerable media exposure. The stars of the 2017 Invictus Games in Canada were undoubtedly the Ukrainian team. Competing for the first time, Ukraine’s small team of just 26 people managed to secure 14 medals (eight gold, three silver and three bronze), while also earning praise from Prince Harry himself. This was a particularly important triumph for Ukraine at a time when Ukrainian society is struggling to come to terms with the thousands of soldiers and citizens left with life-changing injuries from the ongoing war against Russian hybrid forces in the east of the country. Attitudes towards disability are slowly changing in Ukraine, and the success of Ukrainian athletes at events like the Invictus Games is part of this process.